000096301MDSP 000 096 301 M DSP FAST FREE SHIPPING!! 25 count of New Leather Fragrance Wonder Wafers; Individually wrapped. Remove the wafer from plastic seal, and place one wafer under the car seat. Chemical Guys CWS20316 Foaming Citrus Fabric Clean Carpet & Upholstery Shampoo (16oz), 16. High-sudsing foaming action lifts dirt & stains. High-suds foaming action lifts dirt & stains. Chemical Guys Foaming Citrus Fabric Clean dissolves and removes dirt, odors, and stains from automotive carpets, fabrics, and upholstery. Unbeatable UV protection. It will prevent drying, cracking, and fading caused by overexposure to the sun. 303 Aerospace Protectant is the single most effective protectant on the market. 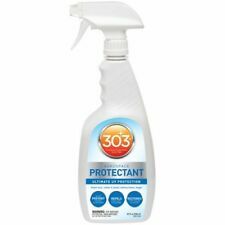 303 Aerospace Protectant 32 oz. WeatherTech® TechCare® FloorLiner™ and FloorMat Cleaner/Protector kit quickly removes scuff marks, dirt, and stains while also adding a strong, durable coating without affecting the finish and quality of your WeatherTech® FloorLiner™ and Floor Mats. Unbeatable UV protection. It will prevent drying, cracking, and fading caused by overexposure to the sun. 303 Aerospace Protectant is the single most effective protectant on the market. 303 Aerospace Protectant 16 oz. The Dakota Odor Bomb is more than an air freshener – it’s a car odor eliminator! The Odor Bomb destroys odors in an entire room with the push of a button. Odors are eliminated permanently. This is not a cover-up deodorizer.Odor Bomb destroys odors caused by urine, feces, decay, rancidity, fire, tobacco smoke, cooking and mildew. Connolly Hide Care Leather Conditioner is a premium source of rich leather conditioners that is essential to top quality leather care. This pH balanced conditioner utilizes natural oils to keep your leather durable yet supple. Ours are Individually Wrapped to stay fresher longer. Start off with Leather Cleaner and the special Leather Horsehair Brush to reach deep in the pores and gently scrub away embedded dirt and oils. The gentle pH-balanced cleaner removes dirt, grease, body oils, sweat, food residues, and light stains from all types of fine natural leather, durable sealed leather, and synthetic leather materials without scratching, staining, or changing the texture of your leather. InnerClean is specifically engineered to clean and condition your vehicle's interior while coating the surface with their patented solar fighter UV protection, restoring the genuine OEM matte finish. Chemical Guys Limited Edition InnerClean Baby Powder Scent is the ultimate quick detailer for your vehicle's interior. The unique formula of InnerClean cleans and protects interior surfaces quickly and easily. Air freshener Stones are made with the highest quality fragrance oils in the largest concentrations. 2 Scent Stones. BLACK VINYL COATING made by Auto Magic for exterior & interior plastic/ vinyl (16oz). 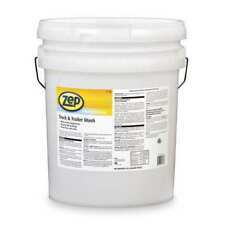 -Add a durable protective coating to plastic and vinyl surfaces. For best results,apply 2 thin coats instead of a single heavy coating. Spray new life into your leather! It is an ultra premium dry to the touch Sprayable Leather Conditioner that Cleans and Conditions Restoring Shine and Reviving an Amazing Natural Leather Scent all at once. RPM Interior Detailer & Protectant: Renews, Protects and Maintains your vinyl, plastic and trim surfaces in one easy step! HP Car Care Interior Detailing Kit: Interior Cleaner/Detailer, Odor Eliminator, Carpet & Upholstery Cleaner The Best Interior Cleaning & Detailing Kit Available. Note: On 24th, Jan. this listing had been updated into cleaning gel Features: Super soft. It doesn t hurt human skin,safe and without any acrimony,the glue is the best cleaning product for various precision digital instruments Dust and dirt in gaps or on surfaces will be absorbed by the cleaner. Reusable, can be used until the color becomes dark. Convenient and easy to use, just put the cleaner on your keyboard for a while and remove gently as a whole. This cleaner may leave small amounts of residue when used on your keyboard. This will not cause any potential issues. A pipe cleaner or cotton bud can be used to remove the residue. Description: Catches dirt and kills over 80% germs.. Authorized Truxedo Dealer. Fast & Free Shipping! Leather Nova Cleaner for Couch, Car Interior, Bags, Jackets, Saddles. Easy to use - simply spray on and wipe off to eliminate almost any surface stain and give new life to your leather. TOP TIRES & EXTERIOR DRESSING. RELEASED JULY 2016 - ALSO EXCELLENT FOR INTERIORS. COOL DRESS-IT® is a water-based silicone dressing. - Cut 1:1 with water for satin finish (one part dressing one part water). Specification: 30ML. Features: Suitable for leather seats, synthetic leather products, etc., to increase surface gloss, decontamination and dust removal. One spray, decontamination, polishing and one finish. Bottle with trigger sprayer. Made in the U.S.A. Rinse-free formula leaves a non-greasy feel, no odor and is non toxic. TechCare Interior Detailer. 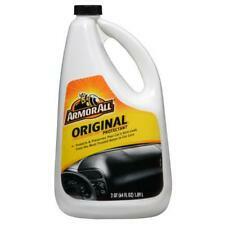 Its mild formula makes it safe to use on virtually all non-glass interior surfaces. WeatherTech® TechCare® is a complete line of automotive care and cleaning products. Developed with dedication to sustainability and superior care, TechCare® products are made from only the highest quality of ingredients and advanced formulas. Product Description: 100% brand new and high quality -Material:Soft gum material. -Picks up dust and dirt from computer keyboards, mobile phones and printers. -Does not leave residues,keeps your hands clean, has a proven disinfecting action. -Catches dirt and kills over 80% of germs. -By pressing the cleaning compound onto the surfaces that you would like to clean. -Dust and dirt in gaps will be absorbed by the compound. -Environmental friendly,95% biodegradable. Chemical Guys TVD_109_16 - Silk Shine Sprayable Dry-To-The-Touch Dressing For Tires, Trim, Vinyl, Plastic and More (16 oz). NON-GREASY WATER-BASED FORMULA: Achieve a non-greasy long lasting dry-to-the-touch deep wet look on both interior and exterior vinyl, rubber, plastic and tires with this water-based dressing. TruXedo Pro-TeX Protectant Spray 20oz.